← Is Tiago Splitter Okay? Emotionally? 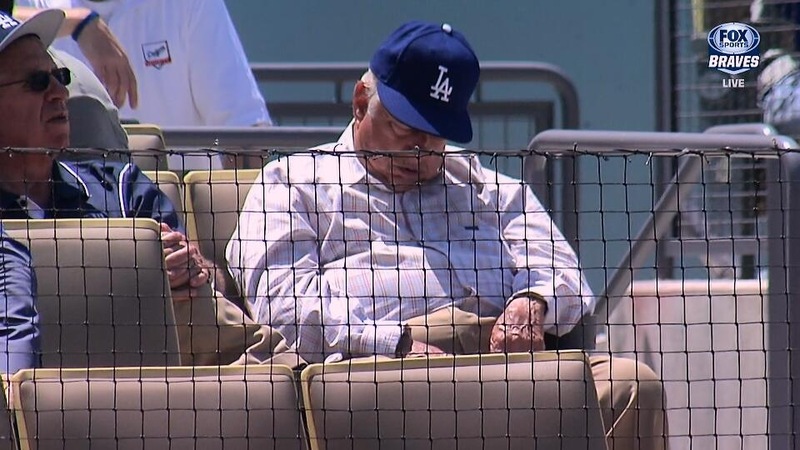 Listen, if you’re Tommy Lasorda, you can do whatever the hell you want at a Dodgers game… that includes catching a little shut eye. This entry was posted in Baseball, MLB and tagged Dodgers, lasorda, tommy lasorda sleeping. Bookmark the permalink.